Higher scores lead to more available credit as consumers tend to receive more financing offers and promotions. 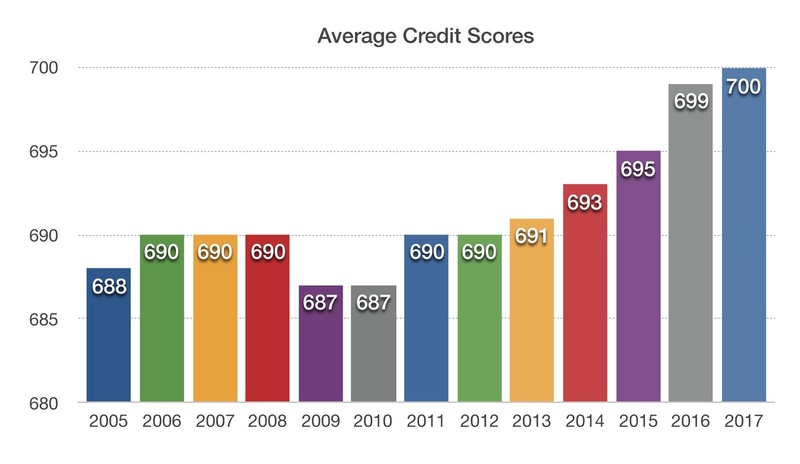 Eight years after the financial crisis, consumers that suffered bankruptcies and repossession are seeing their credit scores improve. Theoretically, as credit scores increase, consumer expenditures also increase, but some believe it might be different this time. More favorable and higher credit scores are usually held by older consumers, who actually spend less as they enter retirement and empty nester years. The onslaught of lower rates for over eight years now has also buffered consumers with the help of lower interest payments and more going towards paying down principal balances.